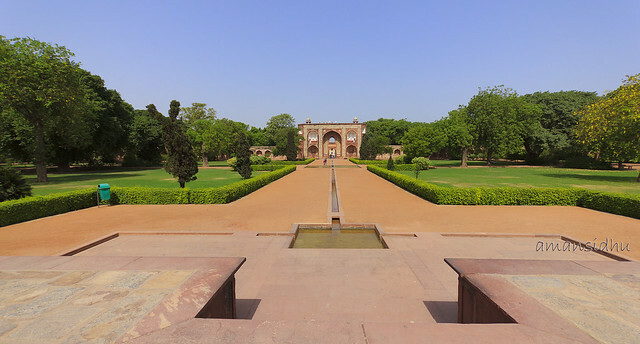 Humayun's Tomb, Delhi, India. Photo by .Ian Mylam. 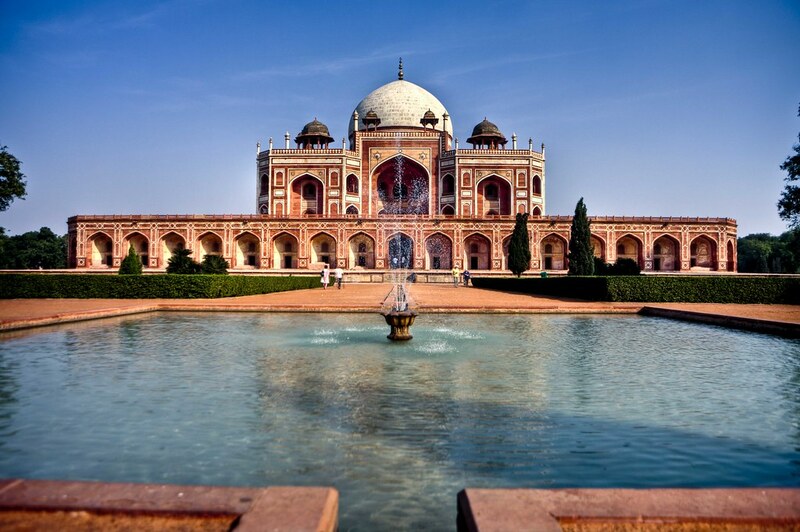 Humayun’s Tomb in East Nizamuddin, Delhi, is the first tomb of a Moghul Emperor in Delhi. His father, Emperor Babur, was buried in Afghanistan. The tomb was commissioned by his first wife, Hamida Banu Begum (Haji Begum). Also the first garden tomb in India, it was designed by the Persian architect, Mirak Mirza Ghiyath. It set a precedent for the extravagant tombs and mausoleums of the Moghul royals, that were to follow in India, and peaked with the construction of the Taj Mahal. 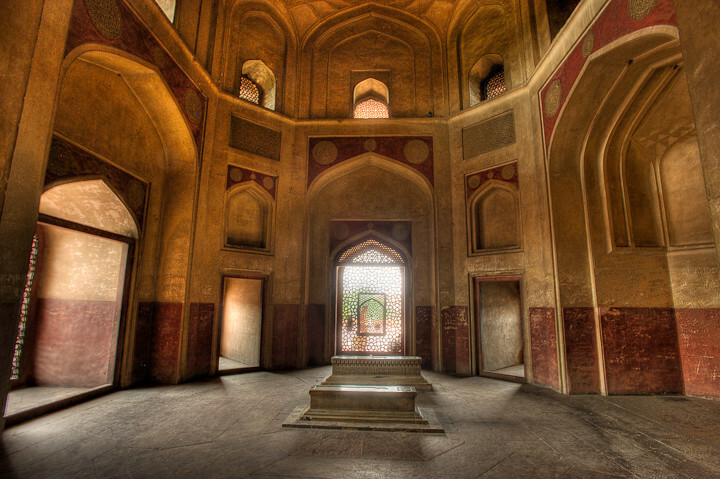 It is quite close to the fort that Humayun built in 1533, the Purana Quilla (The Old Fort). In 1993, the tomb was adopted by UNESCO as a World Heritage Site. It has been repaired and restored extensively since. Humayun died on January 20 1556, at a relatively young age of 48. His distraught first wife dedicated herself to building the best mausoleum for her husband, the kind of which was not seen in the empire Hitherto. She commissioned the tomb in 1565, and the tomb was completed in 1572. The structure is built extensively of red sandstone and white marble. Beside the pathway, approaching the tomb are many other tombs including that of Isha Khan Niyazi, who once fought the Moghuls, and whose tomb was built 25 years earlier than Humayun’s. After his death the Emperor’s remains were buried in the Old Fort, wherein was his palace. But when Hemu, the Hindu King captured Delhi and the Fort in the month of October that year, the body was shifted to Sirhind in Punjab and was shifted to the tomb after its completion. The tomb stands on a vaulted eight meter high platform, with chamfered edges. The platform has an area of 12,000 square meters. The sprawling square garden around the platform is divided into four equal parts by causeways. The platform has 56 cells and more than 100 gravestones. On the North is a hammam (bathing chamber) and the baradar (pavilion) is on the east. The tomb is 154 feet high and 299 feet wide. A two layered dome with a pure white exterior rests on a circular drum base in the center. The whole building is constructed with red sandstone with black and white marble, and yellow sandstone used for detailing. The dome can be entered from the South through a double storey high arched gateway. The floor plan on the interior is square with eight vaulted chambers radiating from the central chamber, in which is a cenotaph, under the dome. The grave of the Emperor is located in center of the dome and can be reached by the Southern entrance. The sides of the tomb have three arches each, the central arch being the highest, and the walls are decorated with marble and panels on both the floors. The construction of the mosque is the earliest example of the blending of Persian and Indian architecture. The high arched cloves and the double dome resting on a cylinder are typical of Persian architecture whereas the windows of laced marble and the kiosks gives the tomb an Indian angle. 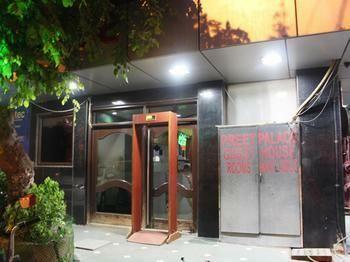 Delhi is a treasure house of historical interests. Kutub Minar, Ashoka Pillar, Red Fort, Nizamuddin’s tomb, India Gate, Jama Masjid, and many more are all examples of a blend of Persian and Indian architecture and ingenuity. 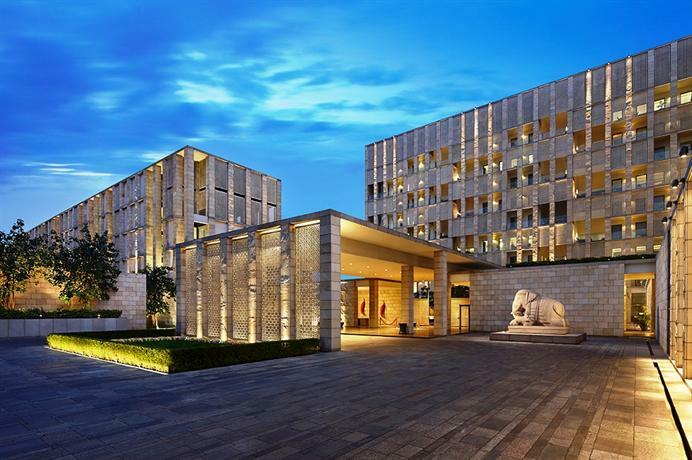 The Parliament House, Hauz Khas, Akshardam, William Fraser bungalow, Jantar Mantar, Rashtrapati Bhavan ( President’s Palace), and the Old Secretariat are other places a sight-seer might want to visit. Delhi, the capital city and one of the largest cities in India and attracts a large number of domestic and international tourists. It is well connected with the rest of the country by rail, road and air, and internationally by air. 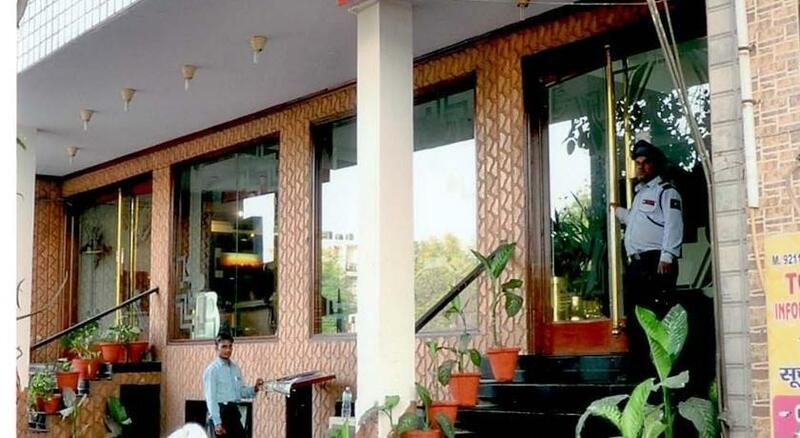 Famous for its Mughlai and Punjabi cuisine, there are numerable restaurants that can cater to any palate including South Indian, Tibetan, and Chinese food. 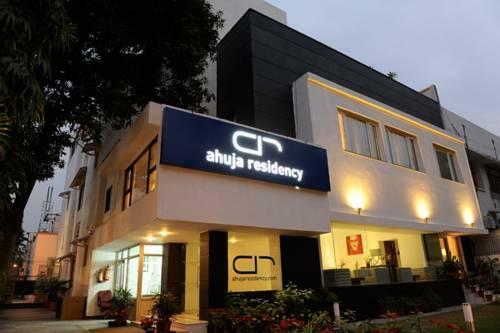 Accommodation is easy to find and the hotels can accommodate all customers from the affluent to the back packer.